Happy Monday Everybody! If you follow me on Instagram, you know that I am obsessed with my Day Designer. I basically can’t function at the office without it. I use it to keep a to-do list running daily and for the future, and also to keep appointments through the days and months. I’ve found my planning soulmate. I have been having a little bit of trouble keeping an editorial calendar lately, so I knew that I needed to start keeping something on paper. 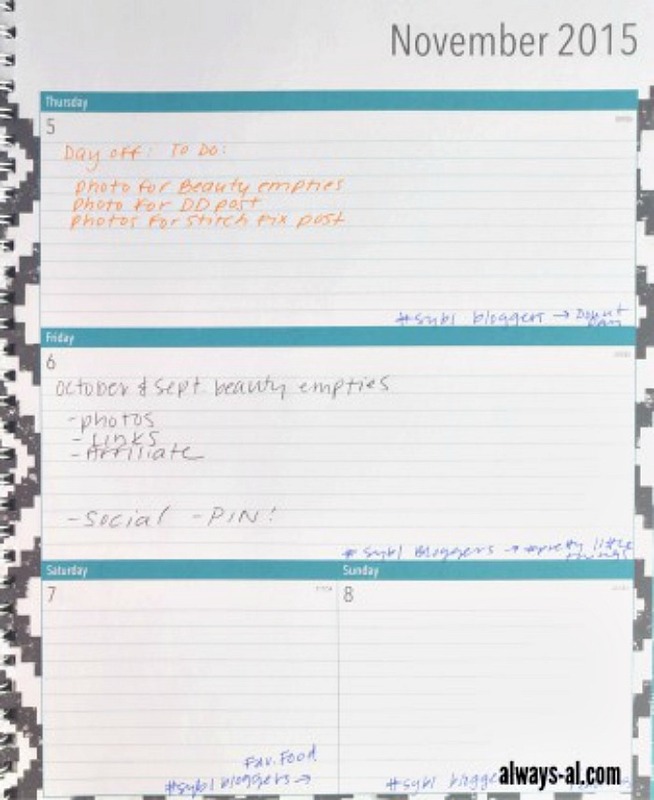 I also use my Google calendar, but nothing keeps me accountable like writing it down on a paper planner. Now that I am using this system, I have been more successful than ever. 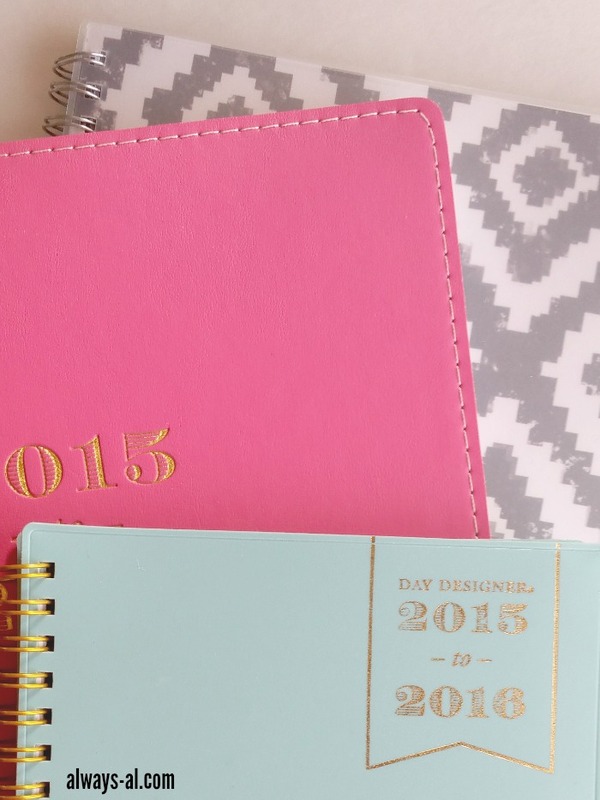 For the last few months, I have been using the new line of Day Designer for Blue Sky planners to keep my editorial calendar for Always, Al. These planners are wonderful. They are the organizational help that you expect from a Day Designer, but only cost a fraction of the price.You can easily find them at Target. Right now I am posting every MWF, which is perfect for my busy schedule. In a perfect world, I would love to do 4-5 days a week, but I just can’t generate that much quality material with my schedule right now. I find that the monthly/weekly planner works great for my needs, because I can plan my month ahead on the monthly view, and then keep a more detailed to-do list on the weekly view. And the colors and prints are amazing. Blogging is fun! Our materials should be too! On the monthly view, I try to plan out my month as best I can. I always do this in pencil, as things change all the time! You can also see where I’ve planned where I want to link up with people, and what the prompts are for this month’s #SYBLBloggers Instagram Challenge (you should definitely participate! It’s lots of fun!) This is also where I keep track of post ideas for the next month. Every week in weekly view I write in the posts I have planned for that week. I try to write at least one post ahead on Sunday, but often I find myself scrambling the night before (#badbloggerhabits). I always want to make sure I do everything for the post, so I write a little checklist for myself here. After taking Helene’s Quit Your Job To Blog Course, there are definitely other things that I have been doing that I should make sure to write down on my to-do list as well! 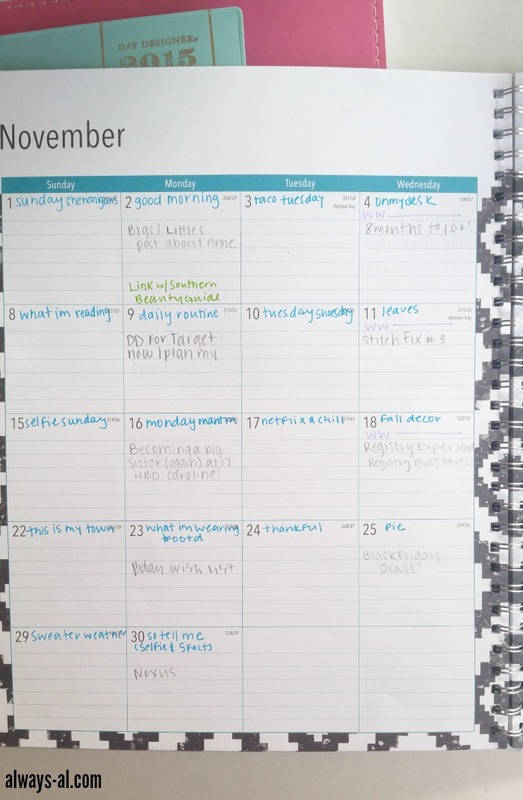 Using my Day Designer for Blue Sky planner has certainly helped me organize my blog’s editorial calendar. I am able to plan ahead and have a vision for each month. I feel that I am able to balance my blog content, because I am able to plan and see it visually in front of me. 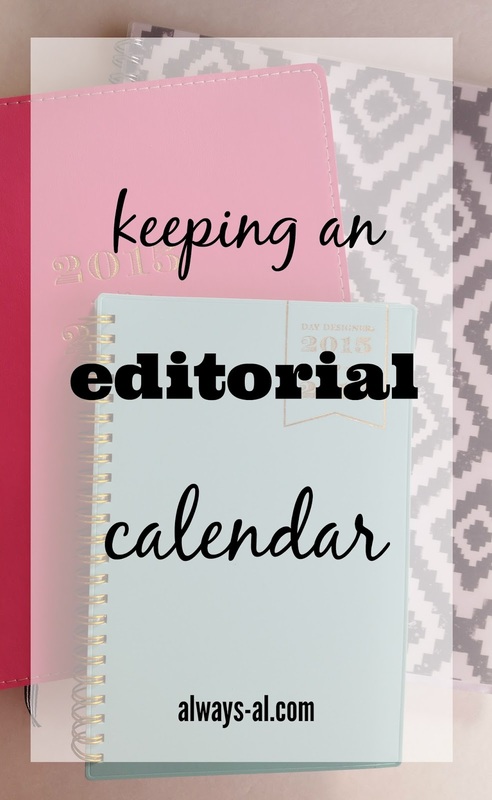 How do you keep an editorial calendar? What products help you? ** Products were sent to me in exchange for writing this post. Opinions are 100% my own.